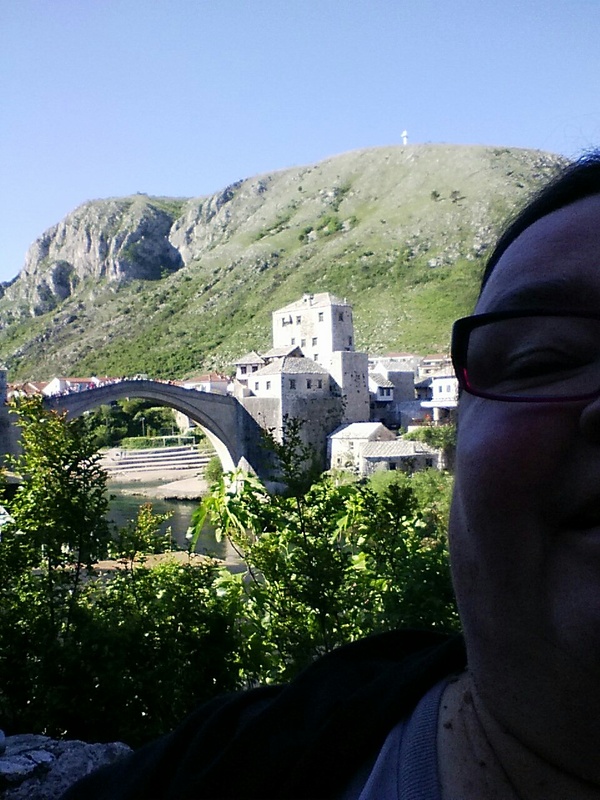 This is Stari Most, the Old Bridge of Mostar. 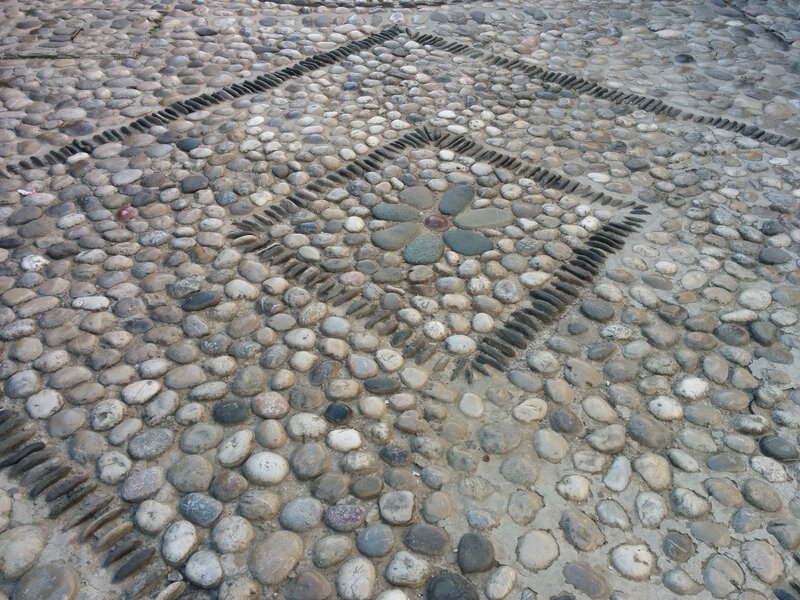 It was destroyed in the Bosnian war, then subsequently rebuilt. 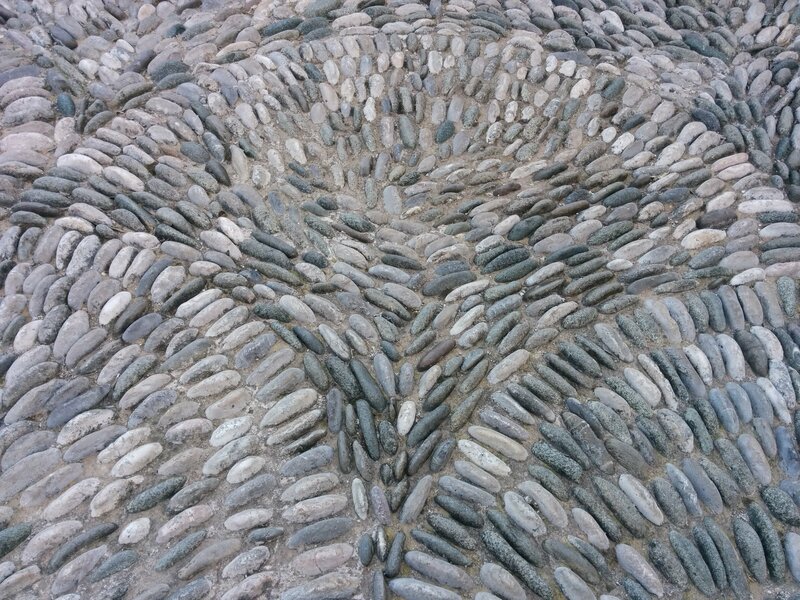 Mostar has a nice old section and as we wandered round, the (ex) quilter in me was captivated by the patterns in the cobblestones. I have seen this sort of thing before, but there is always a slightly different take. There was a nice view off the bridge. 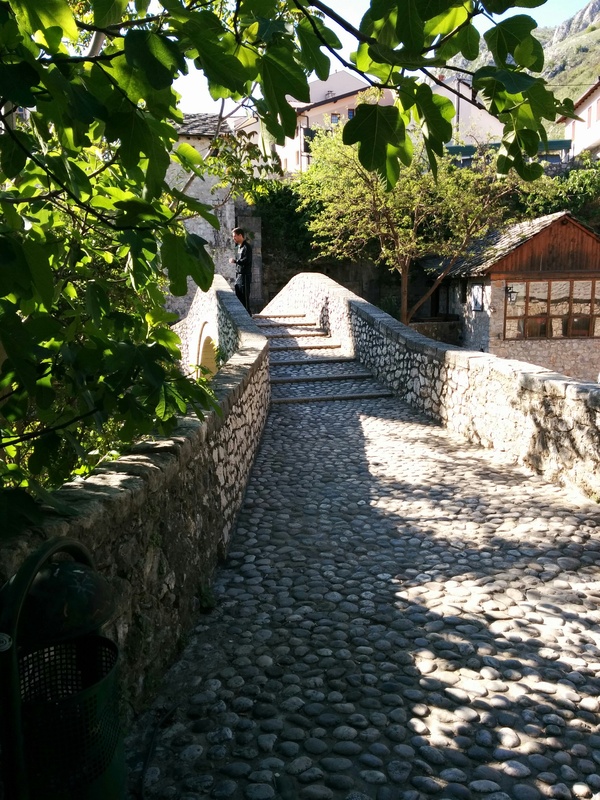 We crossed the little crooked bridge to get yet a different angle After our walk we got on a bus for Sarajevo. We are cooling our heels for three nights here, at Charles’s request. 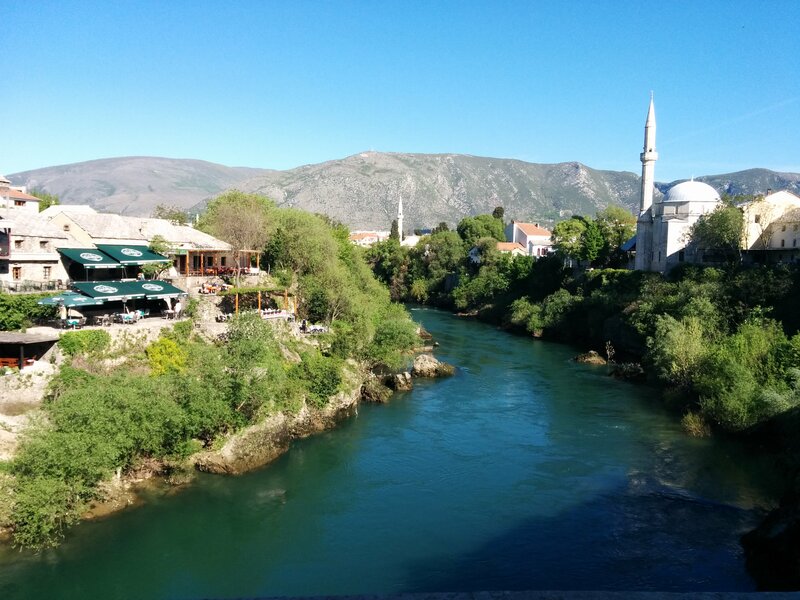 This entry was posted in travel and tagged Bosnia and Herzogovina, Mostar, Stari Most on April 16, 2016 by gillianknitter. Even though I only spent a couple of hours in this city, it felt so unique. It made quite the impression. Did you get a chance to climb up the mosque tower? No, we missed that. Sounds like it would have been good.